Red lip season has descents upon us, and while many of us just at the chance to sport this gorgeous look, other run scared, feeling intimidated by it. I hope to show you today what I believe to be is the best way to apply a red lip and how to make it easier for those who just cant get it right or are intimidated by it. As you wear a red lip, it will fade, usually in the centre first. If you stain your lips this helps keep the colour put longer. It also gives you a great base layer of red. 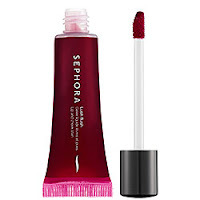 I personally love Sephora's lip stain or Balmshells, they are deep and dark and look great on their own. Bonus tip: I let the stain absorb and will apply it two or three times before moving on for maximum saturation of colour. This is an important step, for a few reasons. One, lining prevents feathering and smearing of the lipstick outside the lip area. Two, by filling in your lips all over (seriously coulour all your lips, not just the rim) you prevent that fading in the centre and stop you from having just having liner left on your lips when the lipstick fades away. 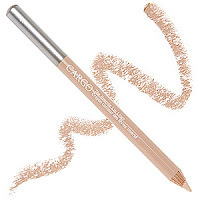 I love Annabelles liners, they come in any shade you could dream of and are pocket book friendly. 3. Reverse line your lips. 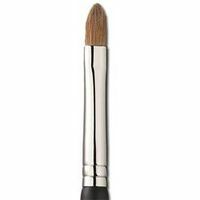 This prevents you from smudging outside your lips and gives it more definition and that sharp wow look. 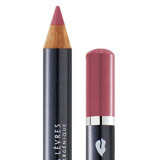 Line the outside of your lips with a pencil that matches your skin tone, then blend out with fingers. You can do this before all the other steps if you want or even at the end. I love Cargo's Reverse Lip Liner or Mac's Pro Chromagraphic Liner in nc15/nw20. This one sounds dumb, but it makes a real difference. You apply it accurately and wont get it somewhere stupid. It also keeps you from putting too much on. Now if you want, blot and re apply lipstick. You can also put a bit of translucent powder over it to set or go the opposite route and gloss it up. I hope this helped a few of you out there. I personally believe there is a red lip out there for everyone and everyone can wear a red lip! So, go out there and try one out today.